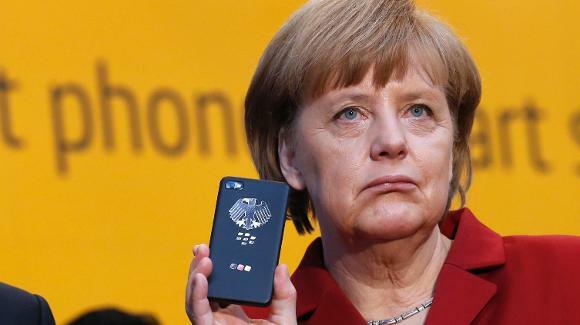 Hackers have published a big dump of private data related to German Chancellor Angela Merkel and hundreds of other of the country's politicians, in what is said to be the biggest data dump of its kind ever in Germany. First German MPs receive Twitter messages, asking them to admit their real sexual preferences. The news was first reported by German broadcaster RBB (translated here, by Politico Europe) later confirmed by the BBC. The stolen private information leaked online includes credit card info, scans of official identification cards, email addresses, mobile phone numbers, physical addresses, banking transactions, and chat transcripts. The hackers even “very personal data” such as conversations with family members, RBB reported. The German government is taking the attack “very seriously,” spokeswoman Martina Fietz said at a briefing with reporters on Friday. My goodness! Who could possibly have done such a thing? Links to the data were tweeted out by a Twitter account @_Orbit in the form of an Advent calendar leading up to Christmas – but no one took notice of it until Thursday night. It’s unclear why the tweets didn’t attract attention until now – the same account (now suspended) has been doxxing people, according to the report, since the summer of 2017 and had amassed more than 16,000 followers. German newspaper Bild said that the entire German cabinet was victimized, along with various German musicians and comedians. While early reports said that there was nothing politically sensitive amongst the data, Julian Röpcke of Bild tweeted that he had found “shocking” details related to nepotism, and that the data stretches back to 2009. He also speculated that more compromising material may be in the offing.